Combining a career with looking after a young family isn’t easy. If you are still nursing your child and are preparing to return to work, you’re probably especially nervous about combining the two and the challenges you may face. Thankfully, there are plenty of ways to combat any issues that mean that you can, and will, be able to do both brilliantly. Hopefully, you have an employer who is understanding and respectful of your decision to carry on nursing your child once you have returned to work. If you haven’t, then you are faced with the biggest challenge nursing working moms can face. The very first step is to research local employment law, which will vary according to your home country or US state. You may find that your employer is legally required to provide refrigeration for expressed milk, as is often the case in Europe, or time and places to adequately rest. Once you are knowledgeable of your legal rights, you can make a more confident request for help to your employer. You may find approaching your employer daunting, but remember that good employers know that if employees feel supported and valued, then they are less likely to leave the company and more likely to work hard thanks to good job satisfaction. With this in mind, calmly approach your employer with reasonable requests for the time and space you need to both do your job well and continue your commitment to nursing your baby. Your time commitment to nursing your child will depend on many factors, including the age of your baby and how often they nurse. Whatever your situation, chances are you will probably need to adapt your working hours. Can you adjust your working hours? Perhaps a longer lunch break to nurse midday, or an earlier or later start and finish which would still enable you to be with your baby at the times you need? Could your childcare bring baby to you to nurse during short breaks from your working role? Could you work longer hours and less days, such as a four-day week or a nine-day fortnight? Could you do your role remotely, at least for part of the time? Taking care of a child is time-consuming and we all face guilt as moms that we are spreading ourselves too thin. You may feel that continuing nursing may be an even greater squeeze on your time. Take practical steps to get ahead to avoid a last-minute panic when you’re heading out the door. You’ll feel a lot happier if you know that baby’s needs are totally organized. Devise a strict system for when and where you express milk, how you store and transport it, and how and when a feed is prepared for baby. Then make sure that everyone else involved in your child’s care is on board with the system too. If tech is your thing, then you may find a breastfeeding schedule app helpful. Consider investing in a double electric pump for expressing milk. Although more costly, this will buy you many minutes per day which would otherwise be spent expressing manually. We all know a happy baby makes for a happy mom, and a happy mom makes for a happy baby, so how can you ensure this continues once you have returned to your career role? To ensure your return to work is as stress-free as possible, you need to be happy that you are expressing enough milk and that baby is able to drink it from a bottle or cup. Some babies need more time than others to adjust to a different feeding routine, so start rehearsing any changes several weeks before you return to work. Try not to put too much pressure on yourself either and accept help when and where it is offered, particularly with household tasks. This will enable you to focus on the things that matter more at this fragile time: your child, and your career, and how you can achieve a good balance. Nursing at the beginning and end of the day is a brilliant way to foster your connection with your child, too, so it’s well worth making these times unhurried and relaxing. Finally, the last time you left for work, chances are you were heavily pregnant. Before you needed maternity wear, you probably didn’t choose your work-wear to suit a nursing infant or the need to express milk. You probably don’t wish to replace your entire working wardrobe, either. It is totally possible to continue to use most items in your working wardrobe with a few simple tricks. All your trousers and skirts are fine, so it’s just dresses and tops you need to consider. Items that are great for nursing and expressing include crossover tops and dresses, or shirts and blouses with buttons. You may be able to continue to wear looser fitting tops by placing a camisole vest underneath that can be pulled down while the top is lifted up. Adding a wide scarf is also a great way of making regular clothing more nursing-friendly. If you do need to update your wardrobe, there is a variety of stylish breastfeeding tops made specifically for working and nursing moms that is both flattering and practical. 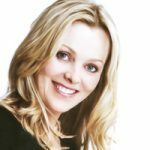 Merril Bainbridge is an Australian mother of two and founder of the online clothing brand, Peachymama.